Jurassic World holds the record for the biggest opening in movie history. To say it is a success is an understatement. As such, people all over the world are sharing their fandom with art and printables that they have created. 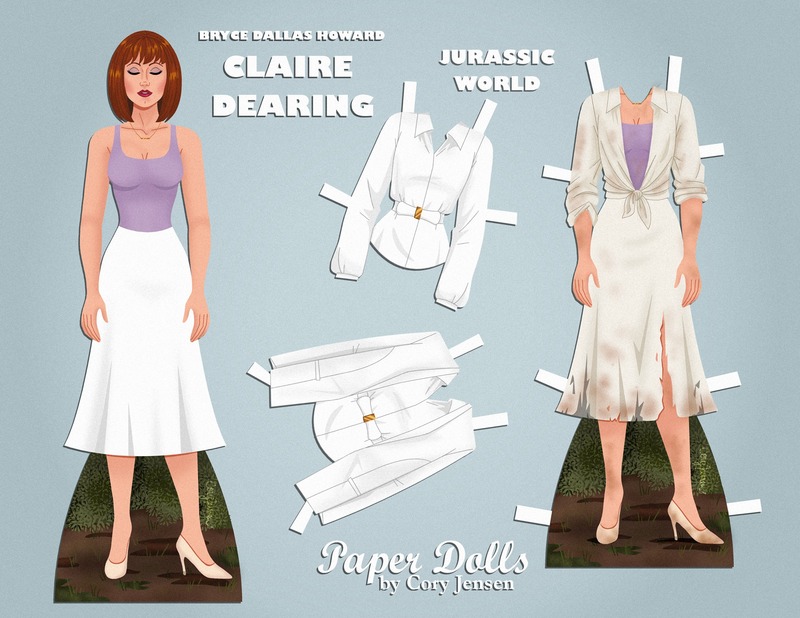 Paper Dolls By Cory has even created one of the coolest paper dolls featuring Claire Dearing, the park operations manager of Jurassic World and the aunt of Zach and Gray. She may have only had one outfit during the movie, but Cory takes that challenge and makes the paper doll a representation of Claire Dearing’s journey through the movie. The paper doll is free to download. Simply click the image and save it to your computer. Paper Dolls By Cory’s facebook page has a ton of printable paper dolls that are free to download. They features characters from Disney movies to musicals and almost everything in between. Be sure to grab my free Jurassic World printables by clicking the image below! There are banners, name tags, security badges and more!